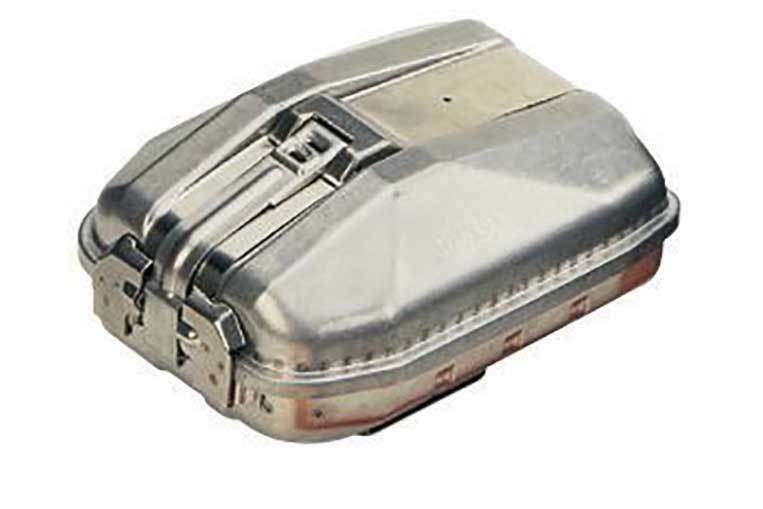 The SavOx is a small and compact self-rescuer weighing only 2.5 kg with a breathing air supply of approximately 30 minutes (at 40 litres/min). It provides oxygen on demand wherever toxic gases, particles or oxygen deficiency can be imminently present. Ready-to-use, it's small in size and low in weight, making it easy to don, use and carry. The SavOx will start almost immediately thanks to the automatic starter. When in its carrying container it can be worn on a belt or with an additional carrying strap over the shoulder. When in use it is worn around the chest. This oxygen self-rescuer works by generating oxygen from chemical potassium superoxide (KO2). This will provide an oxygen supply, based on the users consumption as it always adjusts itself to the demand. 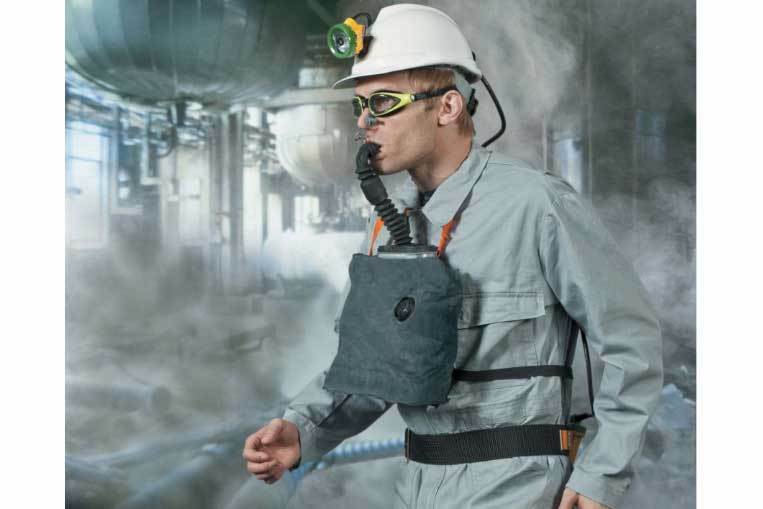 In turn the breathing resistance of the wearer will control the duration achieved. 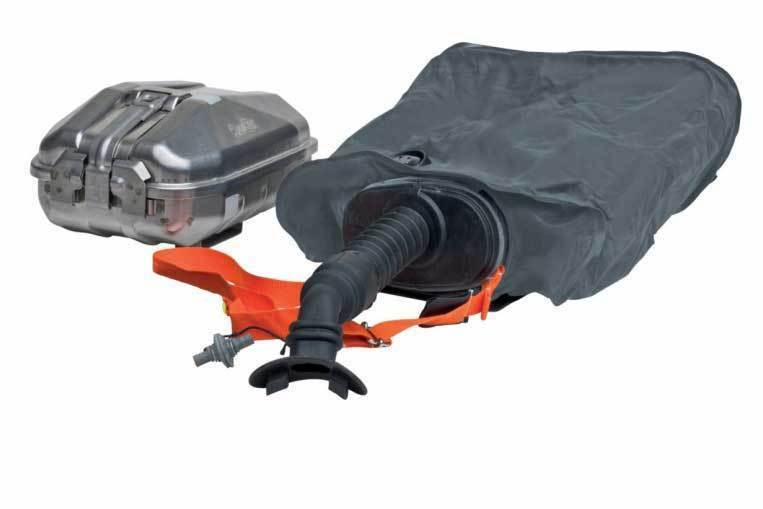 It features a double heat-exchanger system to reduce inhalation air temperature to a comfortable level. This is particularly suitable for hard and dirty enviornments like tunneling due to the robust stainless steel housing. Due to being a breathing apparatus set it can also be used for rescue. Easily attached to a belt it is therefore always ready to use, should self-rescue be necessary.